APPSC board added new recruitment. That one is APPSC ASO Notification 2019 of 78 Vacancy. AP ASO Notification for inviting the applications against the Assistant Statistical Officers posts in AP State is provided here. Later, you can apply online @ psc.ap.gov.in from 12th Feb to 6th March 2019. AP ASO Recruitment 2019 update is posted by the Andhra Pradesh Public Commission in the main site on the date of 23rd Jan 2019. The application form of APPSC ASO Notification opens on 12th Feb 2019 only. The very new notification from the Andhra Pradesh Public Commission is this AP ASO Recruitment 2019. Actually, the main intention behind this recruitment is to provide the departmental jobs to the aspirants who are from the statistical academic background qualification. ASO post full form is Assistant Statistical Officers(ASO). From seeing the post-designation only the viewers will realize what would be the academic qualification to the APPSC ASO Notification 2019. Of course, your analysis is right. One who has finished his/her Graduation with Statistics as the main subject or one of the subjects are invited to join in the APPSC ASO Application Procedure. Filling the form have to be done by the candidate via APPSC online portal only in the duration from 12th Feb to 6th March 2019. APPSC recruitment higher authorities mentioned the conditions or requirements that are mandatorily possessed by the applicants of APPSC ASO Notification. Strictly these rules are applicable to all the enrolling candidates regardless of the reservation. Recruitmentindia.in posting this page on AP ASO Recruitment 2019 informing purpose to the required ones. Aspirants, who have the plan of action of applying for the new AP Assistant Statistical Officers Notification carry on the filling steps only when you have the said educational qualifications, age equal to or below 42 years. In the matter of eligibilities, the board doesn’t compromise. 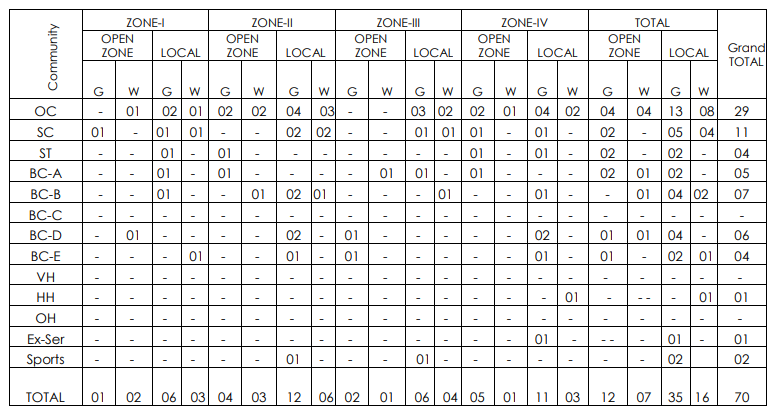 Till the time of 12th Feb 2019, the AP ASO Apply online link is not opening. In this meantime, you guys leisurely pursue the entire eligibility criteria without missing anyone. One who is interested to apply the new AP ASO Recruitment 2019 they must have the academic qualification as follows. Bachelor’s Degree with Economics (with statistics as a paper in one year or two years or all the three years as the case may be) as one of the main subjects. APPSC in addition to the educational qualifications considering the applicant’s age factor. 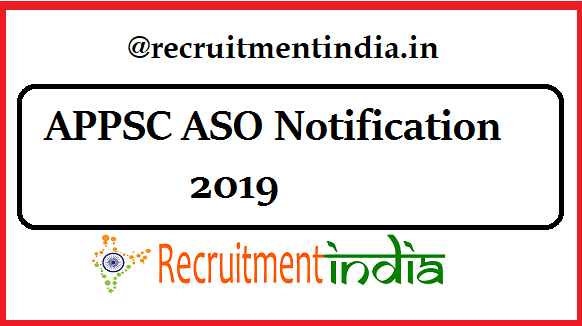 S maximum age limit is mentioned in the APPSC ASO Recruitment 2019. Usually like other APPSC exams, the APPSC ASO Selection process is the same. AP ASO Vacancy total is 78 Posts. 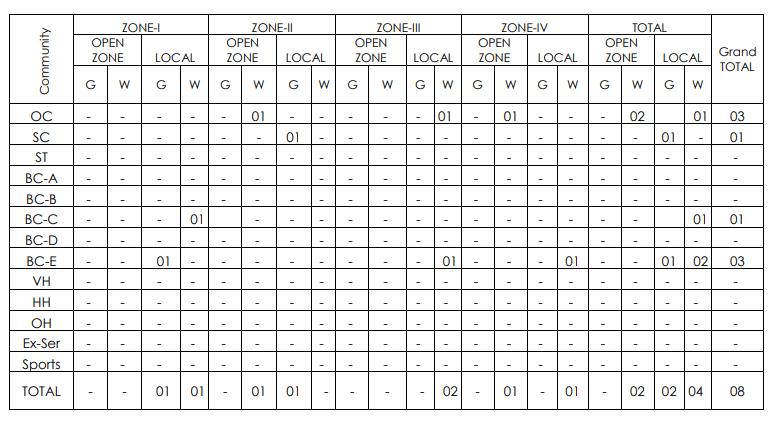 Detailed list of vacancy table view here. APPSC ASO Application Form submitting fees is different for each category applicants. General/BC candidates: Rs.250(application processing fee) + Rs.80 (Exam fees). Previously, unemployed youth have witnessed the recently released job notifications from the Andhra Pradesh Public Commission board. Among the other notifications, the AP Assistant Statistical Officers Notification with 78 Vacancy is the latest one. This advertisement is happened to release on 23rd Jan 2019. More than 20 days earlier to the registration form of the 78 ASO Vacancy in APPSC, the detailed advertisement with an academic qualification, age limit, zone vacancy table, syllabus, exam pattern, application fees structure, important dates is delivered in the APPSC main portal. Only for the guidance of the applicants about the enrolling procedure, the long notification was produced. The higher authorities are expecting that no application will not be rejected due to mismatch of details or any other mistakes. The APPSC board very strictly said that it will consider the APPSC ASO Online Forms that are submitted on or before the deadline that is 6th March 2019. One second after the last date is not given for the submission of the form. In case of server downs on the end date and if you fail to register your name in the application form, the APPSC is not at all responsible for it. Hence aspirants have to be very alert in filling the AP ASO Application form. Try to enroll yourself at least one or two days before the due date. We are expecting that no eligible candidate must not neglect the chance due to the application registration failure. The written exam is there to the applicants, hence the official APPSC ASO Syllabus is attached in the APPSC ASO Notification only.